An attractive Summit 16 piece Blue Waves and Brushed Stripes dining set and Blue Waves Salad Bowl. 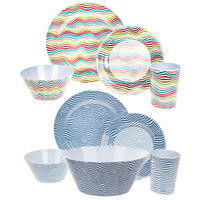 Set includes: 4 dinner plates, 4 side plates, 4 bowls and 4 beakers. 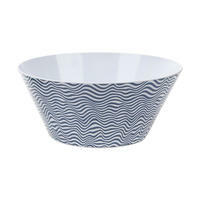 Salad Bowl comes in a blue wave print. Sold separately. 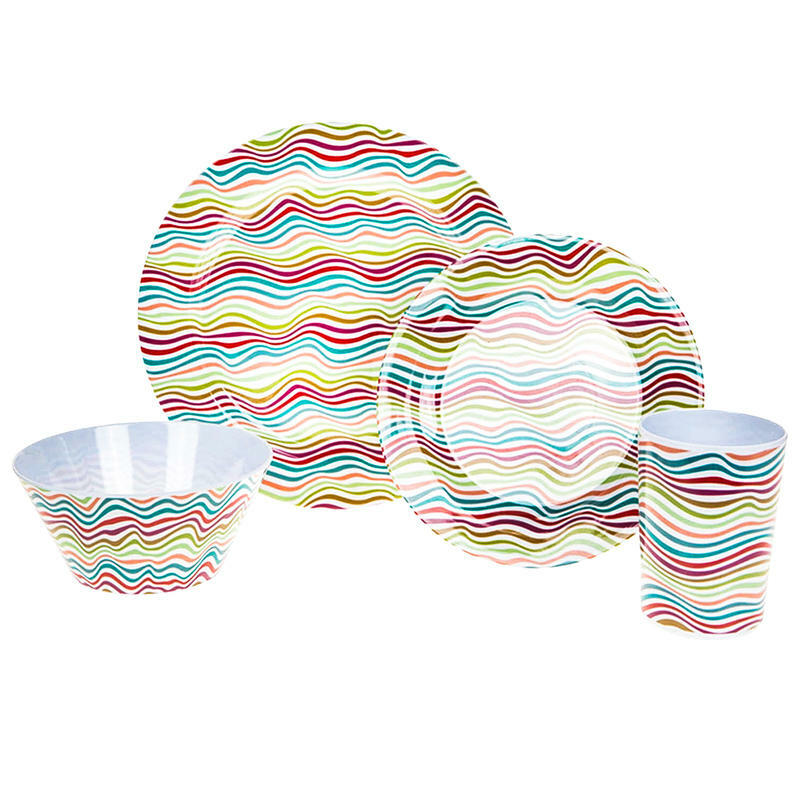 Made from lightweight and durable melamine material that is easy to clean and dishwasher safe. 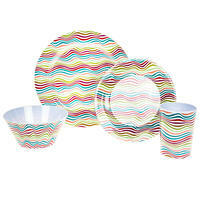 The Summit dinner-set consist of plates, bowls and cups and is made of lightweight and durable melamine. 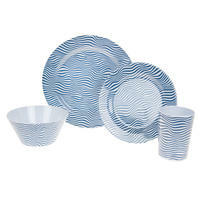 The set is easy to clean and very suitable to use at your garden party, barbecue, on the beach or in the park. The Salad bowl is made of the same lightweight and durable melamine.